Google -- err, Alphabet -- has become rather stagnant lately. The company that once pushed innovation has seemingly become, well, boring. The once young and happening search giant has become rather corporate, playing things fairly safe. To make matters worse, its own Pixel Android flagships have been plagued with problems lately. To the dismay of many, the search giant is recently acting like a bully removing YouTube access from Amazon devices -- a really rotten thing to do. Alphabet could really use a shakeup in its leadership team, and today, it happens. 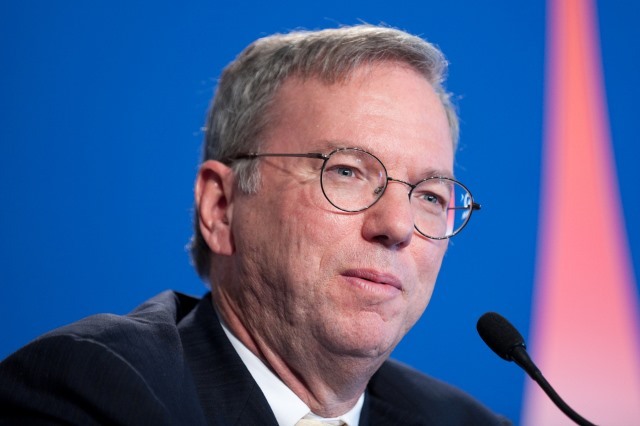 The company announces that Eric Schmidt will be stepping down as the Executive Chairman effective next month. He won't be leaving entirely, however, as he will instead take on the role of "technical advisor" while also remaining a member of the board. “Larry, Sergey, Sundar and I all believe that the time is right in Alphabet's evolution for this transition. The Alphabet structure is working well, and Google and the Other Bets are thriving. In recent years, I've been spending a lot of my time on science and technology issues, and philanthropy, and I plan to expand that work," says Schmidt. Larry Page, CEO of Alphabet, praised the now-former Executive Chairman by saying the following. "Since 2001, Eric has provided us with business and engineering expertise and a clear vision about the future of technology. Continuing his 17 years of service to the company, he’ll now be helping us as a technical advisor on science and technology issues. I’m incredibly excited about the progress our companies are making, and about the strong leaders who are driving that innovation." John Hennessy, Alphabet board member shared the below comment. "Over 17 years, Eric has been tremendously effective and tireless in guiding our Board, particularly as we restructured from Google to Alphabet. Hell now be able to bring that same focus and energy to his other passions, while continuing to advise Alphabet." Ultimately, this move could help Google's public image. Look, I don't know Eric Schmidt personally, but he has a bit of a reputation as being creepy. Don't believe me? Fast Company even published an article highlighting some of his creepiest comments. Famed blogger John Gruber even called the man creepy in a post. Gruber highlights one of the creepiest comments which you can witness in the video below. "If you have something that you don't want anyone to know, maybe you shouldn’t be doing it in the first place." -- Eric Schmidt. Google/Alphabet is seen by many as a creepy company since it knows a lot of information about its users. By shifting Schmidt from the Executive Chairman role, the company can finally begin trying to win back some consumer trust. Maybe.